This is a Model Power 4" HO-Scale Double Highway Light Set. 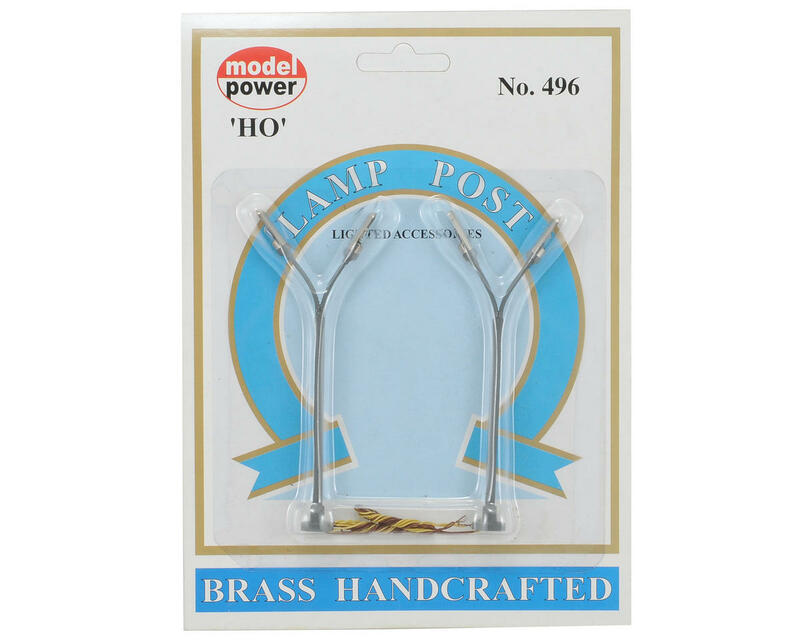 These lighted Highway Lights feature handcrafted brass posts making them a perfect addition to light the streets of any HO-Scale set. This set includes 2 lamps per card and uses No. 381 replacement bulbs.